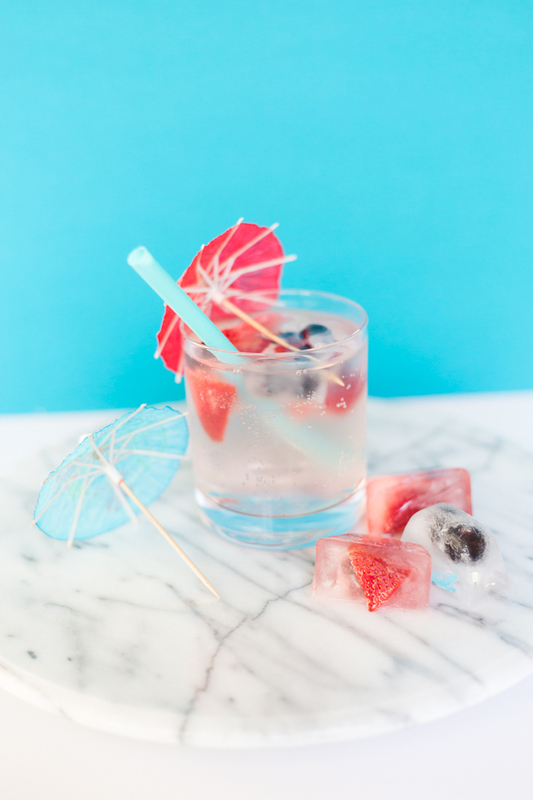 Red, white, and blue cocktails can borderline on cheesy sometimes. Those electric blue liqueur drinks garnished by red berries sometimes feel more reminiscent of Jello shots than they do of a sophisticated party cocktail. 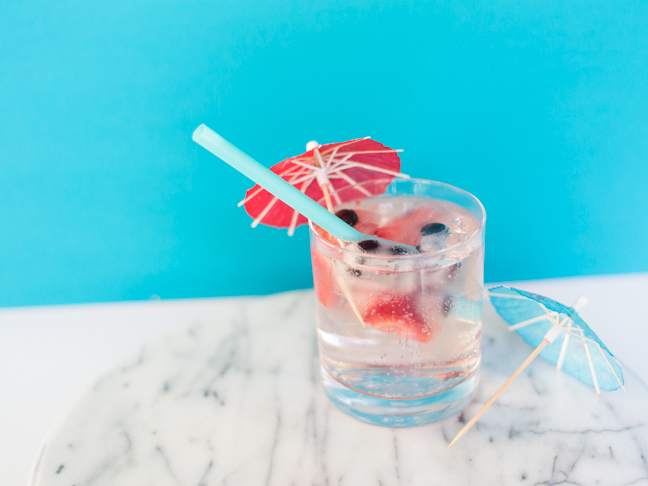 Instead, show off your patriotic spirit by making a grown-up version of a red, white, and blue cocktail for this 4th of July. 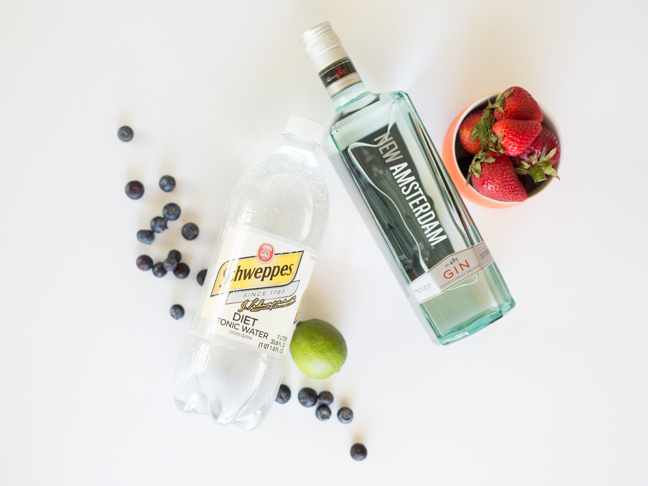 This recipe can be made with any drink concoction that has a clear base, like gin or vodka, and a clear mixer, like soda or tonic. 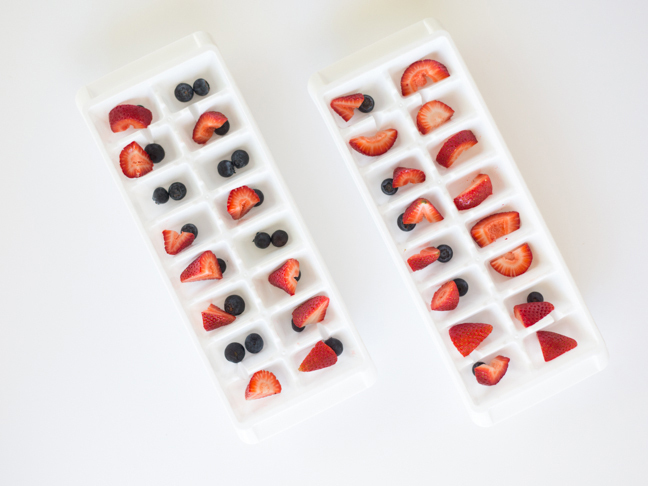 Step 1: Start by slicing your strawberries down to sizes that will fit in your ice cube trays. 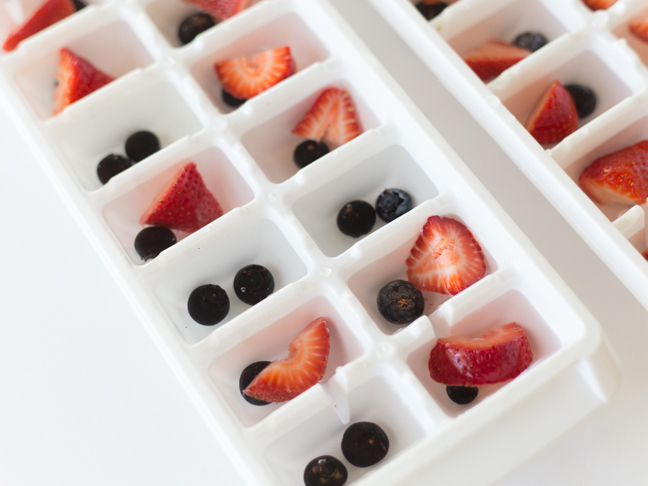 Step 2: Fill your ice cube trays with fruit. 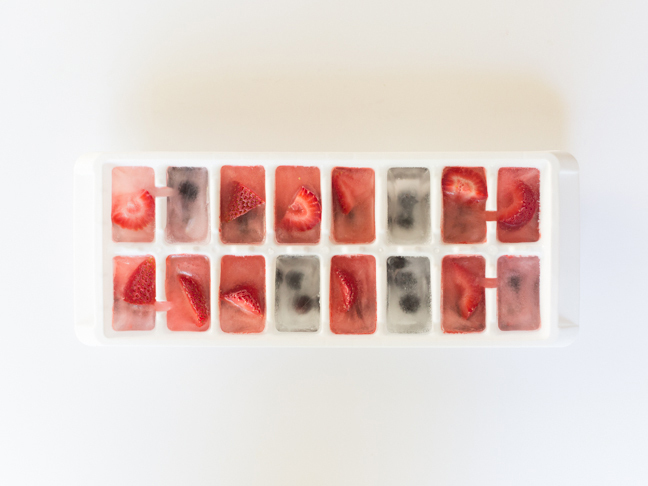 You can mix blueberries and strawberries together, but for your ice cubes to really look blue you will want some with just blueberries in them. Step 3: The key to making ice cubes that are clear is to boil the water first. Use filtered water to be sure to not have any mineral deposits that can contribute to cloudy ice cubes. Boil your water, let it cool, and then pour it into the ice cube trays. It's okay to have bits of fruit sticking up out of the water. Step 4: Let your ice cube trays freeze overnight. 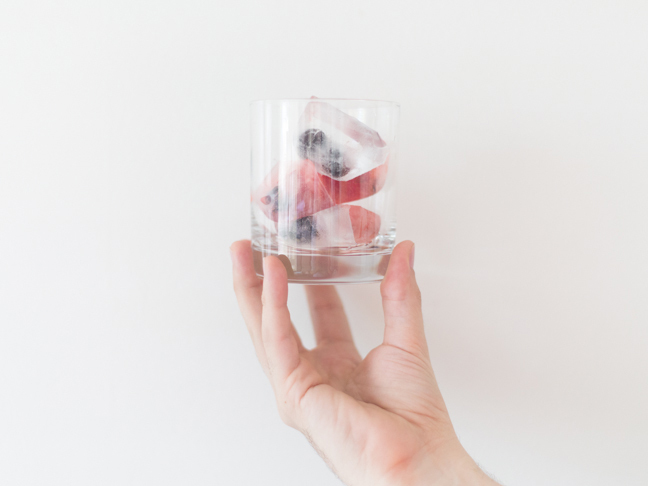 Step 5: When you are ready to celebrate the Fourth in style, fill a rocks glass with a mix of red and blue ice cubes, then mix your gin and tonic or vodka soda over your ice. 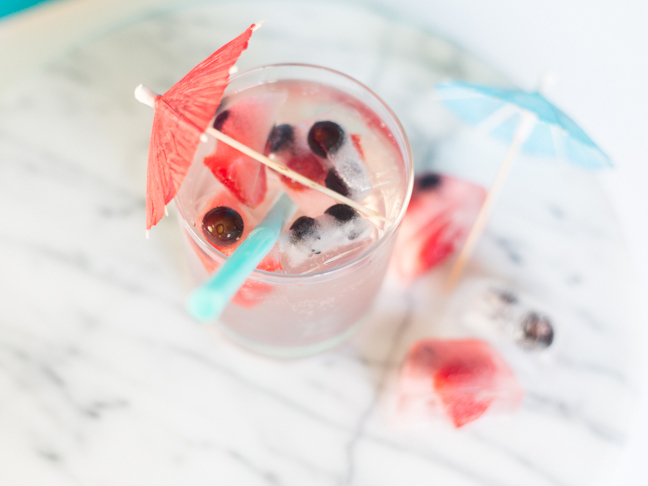 Spruce it up with a bit of patriotic flair, and voila, a Fourth of July cocktail!